An elephant path, Savuti area, Chobe National Park, Botswana. 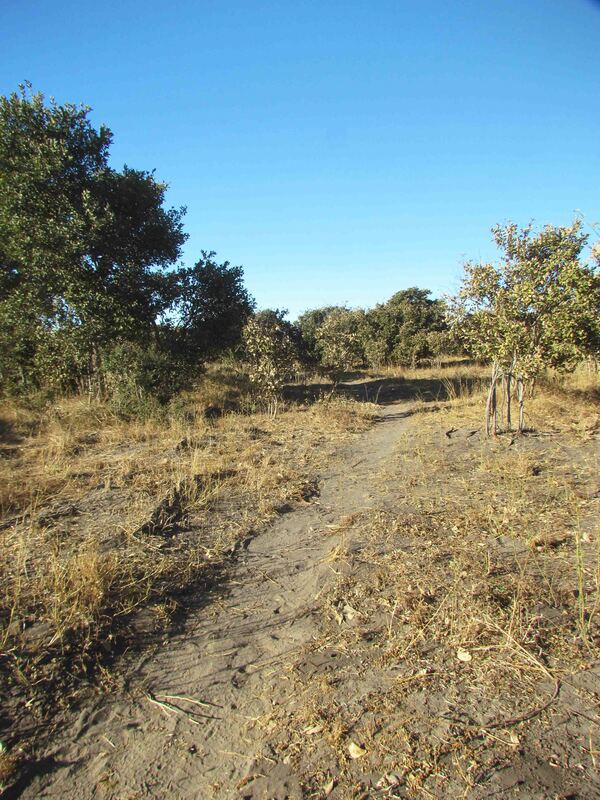 Elephants have worn down this path on their way to drink from the Savuti Channel. To walk along that path, not knowing if you will come across an elephant resting in the shade around the next bend, or to come swaying towards you – part of the magic and the excitement. Yes, but there are a lot of bachelors that hang out in the Savuti area, and we’d just come across one in musth. So it was tempting, but . . .